I remember the pain of losing my first sale. I’d spent nearly $1500 on flights and hotels, taken two days out for travel, and spent another two days preparing for what I thought was going to be a slamdunk meeting. As it turns out, if you want to slam dunk, you need to clear a path to the basket before you jump. The funny thing was, my meeting went exceptionally well. I had my talking points, I answered all their questions, I was friendly, funny, and otherwise firing on all cylinders. But in sales, that’s not always enough. The thing is, even though I was crushing it, I didn’t have a system in place for breaking down my customer’s barriers and extracting every objection they might have. I thought doing my best was enough when, in fact, I needed to do my best AND anticipate every nuanced question or comment my customer might make, behind closed doors, after I left. A few short months after my presentation, I bumped into this customer at a conference. They had “gone silent“, never returning my calls, never asking to meet again. Through our short conversation, it slipped that they had bought our competitors product. I’m certain they could see the shock and disappointment in my face. They mumbled a few parting words, about-faced, and left for good. I usually get mad about these kinds of things. I tend to feel misled, un-trusted, and don’t understand why. But until recently, I didn’t do anything permanent about it. 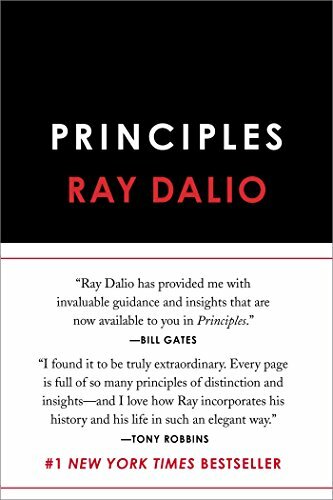 Just this month, with a few years of learning and a few more lost sales under my belt, I was reading Ray Dalio’s new book, Principles. If you don’t know who Ray Dalio is, it’s not important to the point of this story. Just know that he is a superhuman billionaire investor who has spent a lifetime improving his profession by systematizing everything in his life and work. For example, not only did he encode everything he learned about economics into computer algorithms that could make investment decisions for him, but he coded everything he knew about good management practices in algorithms that could help his management team make good decisions at work. This type of thinking changed me. I no longer get angry about losing a sale. Instead, Ray’s book reminds me that my system for selling is simply unfinished; missing one or more critical ingredients. Now when I learn from a win or a loss, I add those lessons (ingredients) to my recipe. My sales system grows stronger, my sales grow bigger, and I have to think less. All because of Ray‘s book. I don’t usually buy hardcover books… Especially a 592-page behemoth like Principles. But this is one I’m glad to have on my bookshelf. This is a book that is positively affecting my business and my life. I’m nowhere near finished with it yet, but I’m already eager to go back and read my highlights. And I’ve made many, many highlights. Like the study he did on Steve Jobs, Jack Dorsey, Bill Gates, and other extremely successful entrepreneurs who have shaped entire industries and the world... The lessons he took from studying those individuals—though they’re condensed to just a few paragraphs—are worth the price of the book alone. Anyways, I could go on and on about this book but, for your sake, I won’t. Just buy it, read it, and take these lessons in for yourself. For all the things that make your business your business, build a system. For all the things that make you you, build a system. My system for sales is a simple list of bullet points in Evernote. That’s it. A dozen or so reminders to never make the same mistakes twice. These reminders all but guarantee that I will perform my best in the future. And should I lose another sale, the lessons I learned from that loss will go right into my system to improve it (and me) for every sale in the future. I’ve now build systems for my sales process, my life and business goals, my yearly accomplishments, and a breakdown of my monthly, weekly, and daily activities to make sure that I am as absolutely productive, balanced, relaxed, and happy as I can be. Take one task that you perform over and over and turn it into a system that will make your life and work easier. Whether you write it down on paper with a fountain pen (the only way to write :-)) or hire a programmer to turn it into an algorithm, capture your system and let it make decisions for you. Build a system that you can use now and forever. It will give you back some time in your day and make you all the more productive and successful. Michael Mehlberg helps small businesses owners achieve their goals and live their passion. 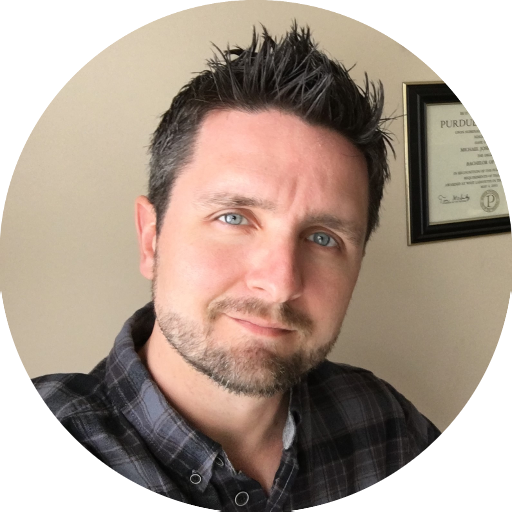 His approach to technology, corporate strategy, product development, marketing, and sales is both practical and highly effective, and has helped multiple small businesses grow into the company their owners envisioned. Reach out by emailing him at mike@moderndavinci.net or learn more on our About page.